The new serial has gotten international fans, and critics, talking about its epic potential. The BBC has commissioned a new drama serial based on Tolstoy’s epic novel “War and Peace.” Andrew Davies, who has adapted numerous classic novels, is preparing the script for a six-episode series to appear on BBC One in 2015. “War and Peace” follows the interlocking stories of four aristocratic families in the periods before, during and after Napoleon’s invasion of Russia. Executive producer Faith Penhale said: "Today's audience will be drawn into the sweeping story of life and love during a time of conflict, with a dazzling production that brings to life the great vision and scale of the novel." 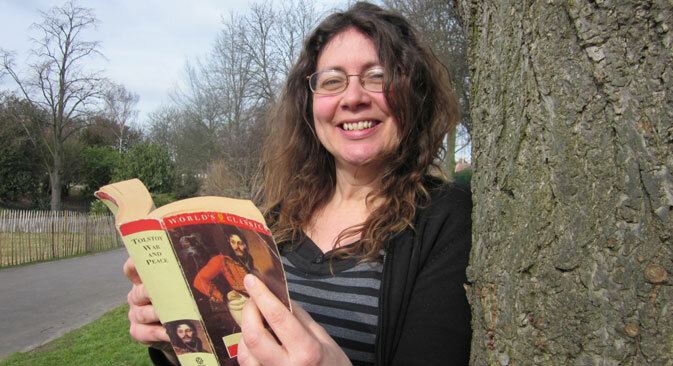 For die-hard British fan, Barbara Claessens, who has read the book four times, “War and Peace” is in a league of its own “because it encompasses so much of human experience in one novel, everything from a young soldier the night before a battle to illicit love affairs.” Claessens feels that the novel’s reputation intimidates some British readers who are “put off by its size and large numbers of characters with complicated names.” Claessens spent three and a half years living in Moscow, near “Maidens’ Field” which features in the novel and has a huge monument to Tolstoy. “In Russia, ‘War and Peace’ is an easy read,” Claessens said.